We knew it was inevitable, but Senate Majority Leader Harry Reid (D-NV) has dusted off the DISCLOSE Act for a vote. But first, let me review for a moment…. Without this critical legislation, conservative organizations can publicize legislator’s liberal votes and explain the legislation that was passed. Grassroots objections helped to keep the DISCLOSE Act from passing in the Senate last time. Now, Sen. Reid plans to sneak it in again — TOMORROW (9/23/2010)! Please make sure your Senators know that this bill must NOT pass, and you & your friends will hold them accountable if they vote for it (S.3628). Go here for the contact info. 2004: Anxious to pass the Firearms Manufacturers’ Lawsuits Protection bill, the NRA told anti-gun politicians that if they would vote for the Lawsuit Protection bill, the NRA would not oppose re-authorization of the about-to-end Clinton Gun Ban. A concerted effort by other gun-rights groups to expose the deal forced the NRA to back off. Fortunately, the Lawsuit Protection Bill still passed and the Clinton Gun Ban ended. 2007: Following the Virginia Tech massacre, gun-control groups took the opportunity to push their agenda via Rep. Carolyn McCarthy’s (D-NY) NICS Improvement Amendments Act (HR2640) — called by some gun-rights groups the “Veteran’s Disarmament Act”. Regrettably, the NRA caved in to pressure and, along with its oft-nemesis, the Brady Campaign to Prevent Gun Violence, helped the bill to pass. 2009: The NRA was strangely, nearly silent in the confirmation battle over radically anti-gun judge Sonia Sotomayor. The letter to the Senate that finally was sent in July said it was “out of respect for the confirmation process”, as if it was unclear what Sotomayor’s position was on the issue. It certainly was not. So, why the hesitation to take a firm position? 2009: For some bizarre reason, the NRA refused to oppose Eric Holder’s nomination for U.S. Attorney General, even though he would be (and now is) the most anti-gun A.G. in the nation’s history. This brings us to their most recent decision. First, a little background info…. Moderate/conservative, pro-gun Democrats refused to back the legislation. In fact, Rep. Heath Shuler (D-NC) was one of those that expressed concern about the act “hinder[ing] or penaliz[ing] the efforts of certain long-standing, member-driven organizations who have historically acted in good faith.” Shuler, who supports the NRA, was the first to suggest an exemption for the NRA and other nonprofits. Campaign watchdog groups objected, but a slightly milder special exemption was able to be negotiated. Those organizations which meet certain criteria get a pass — they will not be subject to the Disclosure Act’s reporting and disclosure requirements. e) do not use any corporate or union money to pay for their campaign-related expenditures. In other words, it seems to be tailor-made specifically for the NRA. 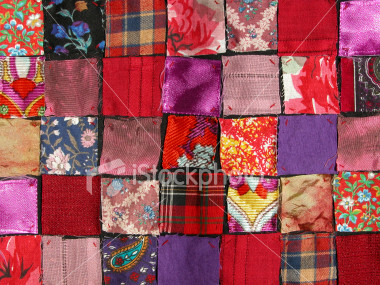 A "patchwork quilt" of onerous requirements -- get it? Too harsh? I’m not so sure. That first sentence, as a standalone, is great and absolutely true. Without the assurance of free speech, one cannot adequately defend and fight for the right to bear arms. The problem appears to be that, in ensuring that they can fulfill their obligation as stated in the latter part of the quote, the NRA seem to think that they are the only group that matters. Back when the NRA submitted its letter to the Members of Congress re the bill, it realized that “the measure would have undermined or obliterated virtually all of the NRA’s right to free political speech and, therefore, jeopardized the Second Amendment rights of every law-abiding American.” So, assuming that the NRA gets the exemption that they were promised for themselves, what about the National Association of Gun Rights (NAGR), the Gun Owners of America (GOA), the Jews for the Preservation of Firearms Ownership (JPFO), or the Oregon Firearms Federation (OFF), to name a few? What about their right to free political speech? They won’t be exempted from the oppressive restrictions of the Disclose Act. They’re just not big enough. Yet, these are all valid, established organizations with loyal members, fighting for the Second Amendment rights of American citizens. (Plus, they have smaller advertising budgets!) Does this seem fair & just to you? I understand the NRA’s concerns, but is this really the best option? Do they really think they can trust Reid, Pelosi, et al. to play fair, even if the NRA gets their exemption? This seems like the first(?) step on a slippery slope to me. Perhaps I am somewhat naive, but I think it would be better for everyone if the NRA united with other 1st & 2nd Amendment organizations and lobbyist groups in a coalition to fight against the Disclose Act. These groups may have their differences, but they should be able put up a solid front against something like this, and they would have the support of Republicans, many Democrats, and Independents alike. The NRA may be the big boy on the block, but it needs to be reminded 1) to stay true to its principles; 2) to listen to its members; 3) that it isn’t the only concerned party involved; and 4) that it may not be big enough or strong enough to win this fight on its own, so it should be careful not to throw its compatriots under the bus. On the other hand, according to the NAGR’s Dudley Brown (via email), there may be enough support for the bill by leadership in both parties that they may try to sneak it past those who would oppose it — e.g., by changing the name or number of the bill and/or attaching it as an amendment to another, unrelated piece of legislation. If it gets to the Senate, at least, Minority Leader Mitch McConnell (R-KY) is determined to block it, since he is a strong advocate of free speech. If this whole thing ticks you off, too, give the NRA a call at 1-800-672-3888 and tell them, respectfully, that they must renounce this dangerous compromise, denounce the Disclose Act, and get back to core principles, instead of trying to make sure they look adequately bipartisan. Then, call your Representatives and Senators (202-224-3121) and tell them to drop the anti-free speech Disclose Act (HR5175) or face the consequences come re-election time. If we let the First Amendment be eroded away, what is next? Our Constitutional rights are at stake! The Center for Competitive Politics has a press release on the issue, along with links to their 2-page overview and 19-page comprehensive analysis of the DISCLOSE Act. Bresnahan also indicated that the exemption has been modified to apply to other groups, namely the AARP and the Humane Society, but nothing else I’ve read mentioned this.